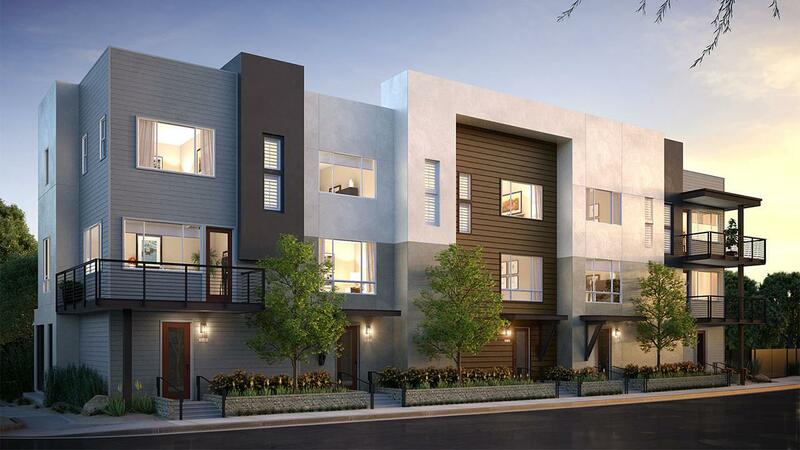 City Ventures’ eco-friendly Montebello Collection has completely sold out of its three bedroom townhomes while a selection of two bedroom plans are still on the market. Available homes start at $415,990 and are scheduled for completion later this year. The Green Key community boasts eco-friendly homes at no extra cost to the purchaser. The use of a myriad of green, energy saving technologies, including ENERGY STAR appliances and harnessing solar power, means residents will benefit from no gas bills along with electricity bills reduced by as much as 80 percent. The townhomes are also built using non-toxic materials and integrated with advanced airflow systems supplying clean air throughout the home. 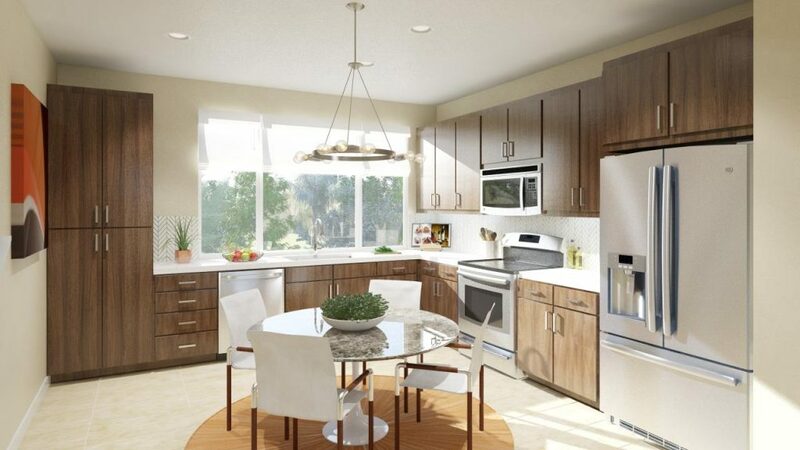 Kitchens at the Montebello Collection include a choice of white thermofoil or wood finish cabinetry and quartz countertops with a six-inch backsplash. A range of GE stainless steel appliances, including a freestanding induction and convection range with a warming drawer, along with Energy Star under-counter dishwasher and Kohler stainless steel two-compartment kitchen sink not only make the kitchen functional, but energy efficient. All homes feature minimum nine-foot ceilings throughout and tiled flooring in the entry, kitchen, baths and laundry. And, the NEST climate control thermostat will not only keep the home at a comfortable temperature, but also help residents of the community save money on energy bills. 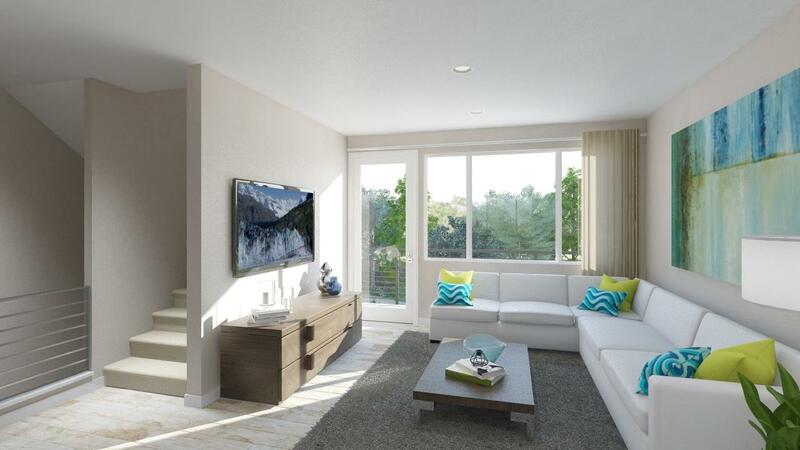 The 44-unit development is located close to Montebello Golf Course and Glen Hensel Aquatic Centre. Residents will also benefit from pedestrian friendly walkways throughout the community that make the walk to the Montebello Shopping Centre even easier. City Ventures’ Montebello Collection combine eco-friendly housing and community designs to create a community that promotes health and wellness. Units are expected to sell fast so potential purchasers are encouraged to visit CityVentures.com or call 323 530 0151 for more information.